Do your wine taste buds change over seasons? Mine do. For instance, I typically only drink white wine in the summer, unless I am eating a nice steak dinner. In the winter, I lean towards reds and as the temperatures get cooler, the fuller the body the better. 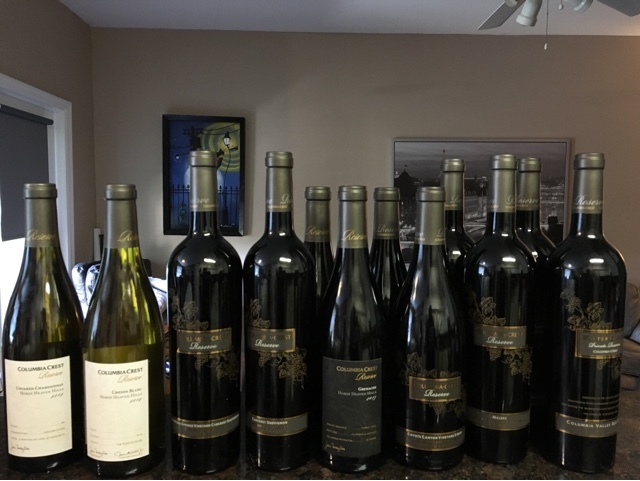 Over the holiday's, I was introduced to Columbia Crest Reserve collection, meticulously hand-crafted in their Petit Chai – a “winery-within-a-winery” – the Reserve wines represent the pinnacle of winemaking at Columbia Crest. I received 8 varietals of wine from their Reserve collection, retailing from $24-$45 a bottle. Of those 8 varieties, one was brand new to me - 2013 Columbia Crest Reserve Grenache from Horse Heaven Hills. Move over Zinfendel, Grenache has become my new favorite red wine. Sourced from premier Washington vineyard sites, less than one percent of the finest grape yields will qualify for the Columbia Crest Reserve tier. These wines receive hands-on care that results in expressive and unique wines. The bottles are beautiful, etched with gold leafing. We saw these for sale the other day at ABC and my husband commented how neat the bottles were. I responded "this is what we've been drinking for the past month" Gabe: "It is?!" Now he wants the wine. Along with 6 delicious red wines (Grenache, Red Blend, two Cabernet's, Malbec and Syrah), the Reserve line also included Unoaked Chardonnay and Chenin Blanc. 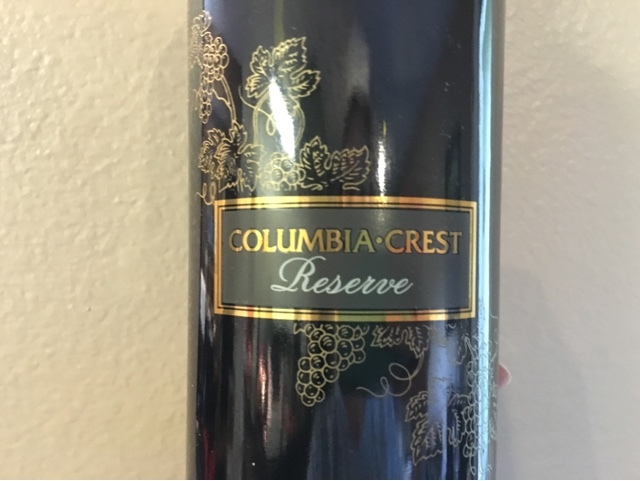 If you see Columbia Crest Reserve in the store, give it a try - it will impress your guests and is the perfect gift to bring as a thank you to a dinner host. Aromas of dark berries lead to harmonious flavors loaded with blackberries, black cherries, and a touch of spice that integrate nicely with a silky, sharp yet expressive finish. This robustly structured, inky-hued Malbec opens with a fruity sensibility of berry compote and spiced-filled aromatics. The palate explodes with flavors of plum, blueberries and currant, with slight notes of rosemary. This is a dense, concentrated wine with silky tannins and a lush, lengthy finish. This Rhone style Syrah delivers rich aromatics of smoky spice and dusty mineral characteristics that capture the essence of Syrah from this region. Replete flavors of supple blueberry and plum lead to a distinctive blueberry finish and refined, ripe tannins. This unoaked Chardonnay is intended to express the true spirit of the variety through white fruit flavors, mineral tones, refreshing acidity, and a complex silky texture. This off-dry, lively Chenin Blanc comes from some of the oldest vines in our estate vineyard. It shows delicate aromas of fresh cut flowers and flavors of white peach, with an unctuous texture and a bright finish.